A Sheboygan, Wisconsin newspaper reported that the launch of a new 140 foot tug named the Bismark was so significant that the city declared the day an official holiday. It was built by John Gregory and Alfred Stokes in 1871 for Mark J. Tyson of Milwaukee and George W. Robinson of Mainstee, Michigan. The Bismark (US No. 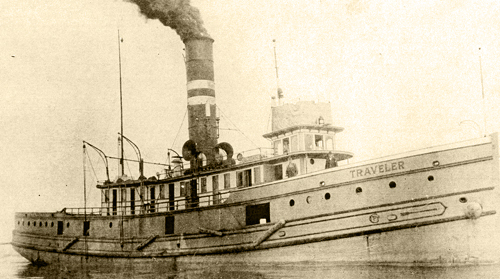 2767) was one of the largest tugs to sail the Great Lakes. The tug was originally 285 gross tons and her dimensions were 147 feet long, a beam of 24 feet and 12 feet depth. It was renamed Justice Field in 1884, Traveller (Canada No. 111930) in fall of 1889 or the spring of 1890 and finally to G.R. Gray in 1921. The engine was originally in Equator (US No. 7233), which stranded on North Manitou Island in a heavy storm on 17 November 1869, and was rebuilt into the barge Eldorado (US No. 135117) in 1871 at Milwaukee. In the early days she towed the barges D.L. Filer, Emma E. Tyson and Eva S. Robinson in the lumber trade, Lake Michigan. These three were all built at Manistee in 1871. The Bismark was acquired by H. Witbeck & Co. and N. Ludington Co. of Marinette, 10 Oct 1872; by Marinette Barge Line of Marinette, 22 Sept 1873, and of Racine 29 Apr 1879. Sold by them to H. O. Blanchard, Detroit, 21 Mar 1884 for $11,000, according to the Chicago Tribune. She was housed in forward, after which her gross tonnage was increased to 437. On 16 July 1884, she was renamed Justice Field. 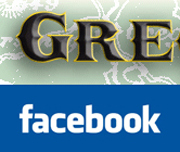 The G.R. Gray was last listed in Lloyd’s Register in 1959, however the tug was last operated in 1943, then laid up at Sault Ste Marie, Ontario, until 1947, when she was removed to Thessalon, Ontario and abandoned at a boneyard. G. R. Gray in 1945 at Thessalon, Ontario.